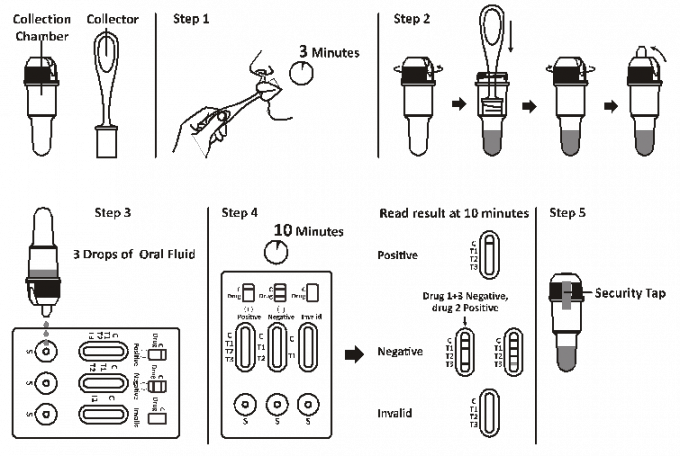 and their metabolites is a rapid, saliva screening test that can be performed without the use of an instrument. specimen compete against their respective drug conjugate for binding sites on their specific antibody. 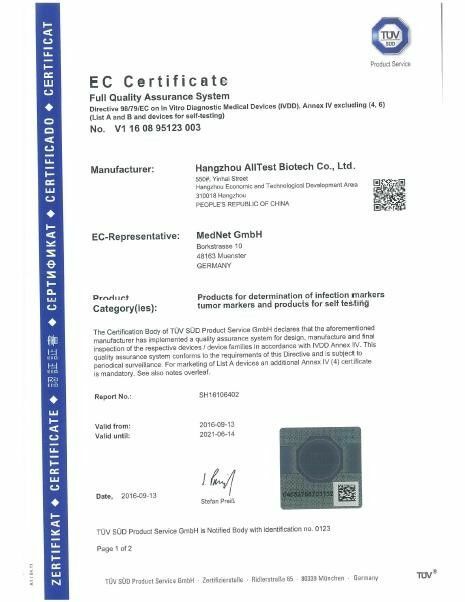 the oral fluid specimen below its cut-off concentration, will not saturate the binding sites of its specific antibody. saturate all the binding sites of the antibody. Therefore, the colored line will not form in the test line region. region because of the absence of drug competition. proper volume of specimen has been added and membrane wicking has occurred. Methylenedioxymethamphetamine and Synthetic Marijuana . and gas chromatography/tandem mass spectrometry (GC/MS/MS) are the preferred confirmatory methods. 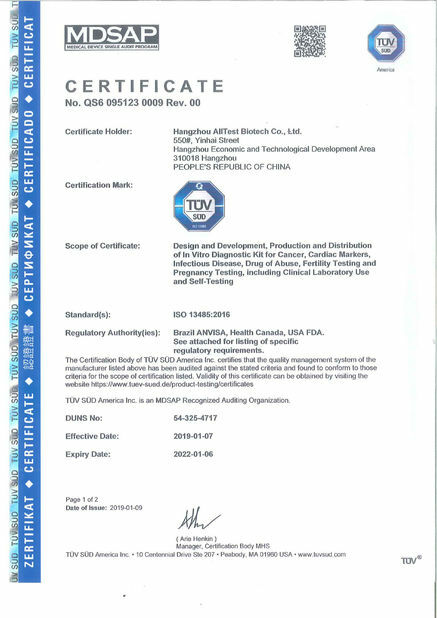 in human urine.For medical and other professional in vitro diagnostic use only. Store as packaged at room temperature or refrigerated (2-30°C). 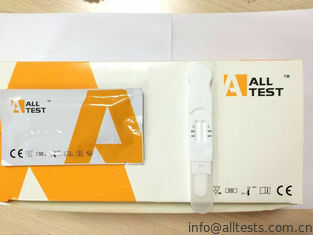 The test is stable through the expiration date printed on the sealed pouch. The test must remain in the sealed pouch until use. DO NOT FREEZE. Do not use beyond the expiration date.